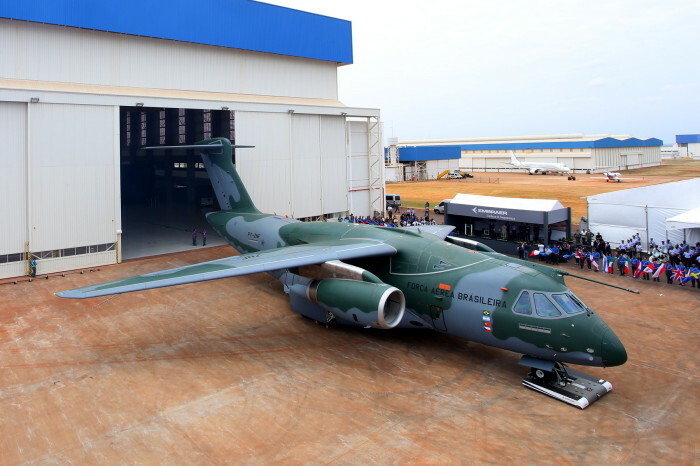 Embraer has rolled out the first prototype of the KC-390 military transport. This will allow the Company to perform important ground tests prior to the aircraft’s first flight, planned to take place by the end of this year. The KC-390 is a joint project of the Brazilian Air Force with Embraer to develop and produce a tactical military transport and aerial refueling airplane. The aircraft is designed to establish new standards in its category, with a lower operating cost and the flexibility to perform a variety of missions: cargo and troop transport, troop and cargo air delivery, aerial refueling, search and rescue, and combating forest fires, among others.